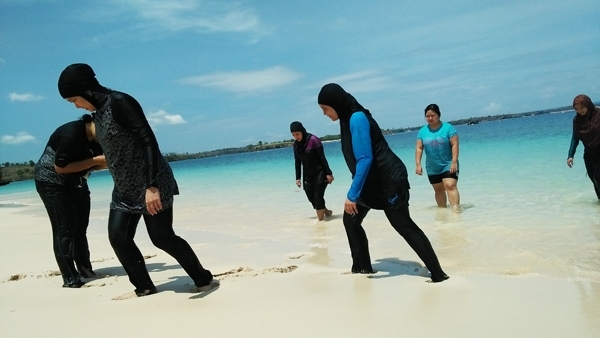 Snorkeling, Snorkeling at Gili Petelu and Gili Gambir is of the activities in this trip, you will see huge coral reef that stil life, star fish and many colorful fishes. Our guide will pick you up 07.00 at your hotel to start the tour. 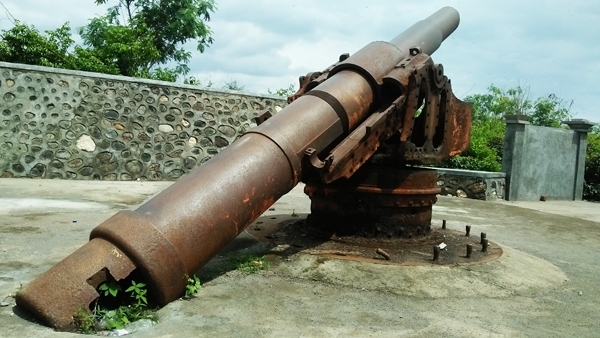 Directly drive through Mataram city to Tanjung Luar Harbor . About 2 hours drive arrive at Tanjung Luar Harbour and Fish Market, walk around the fish market and see the local people activities trading their catchs at the bigest fish market in Lombok. 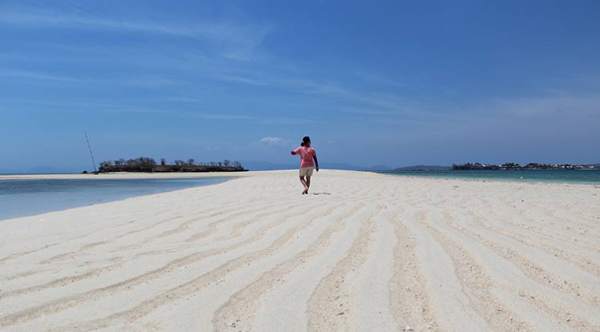 After walk around the market get on the boat (outrigger wooden boat) continue the trip to Pulau Pasir just about 15 minutes, this is a sand island that only appear during the low tight, walk explore the white sand and see lots of big size sea stars with many different colors. 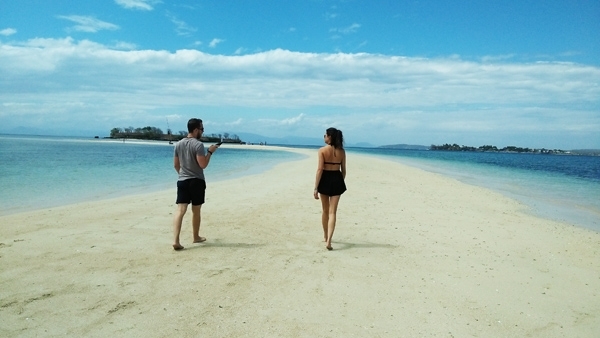 After Sand island, the trip continue to Segui Beach, very soft sand beach with white and pink colored, walk and swimming on the beach. 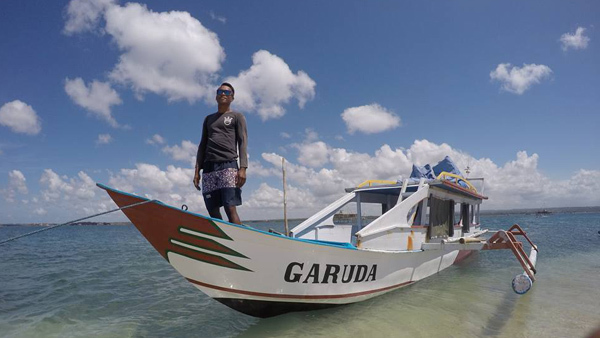 From Segui Beach continue another 10 minutes with boat for Snorkeling at Gili Petelu and Gili Gambir. 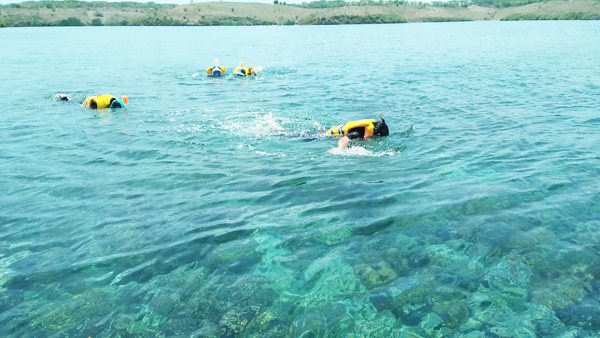 Enjoy the under marine life, huge of colorful coral reef and fishes. 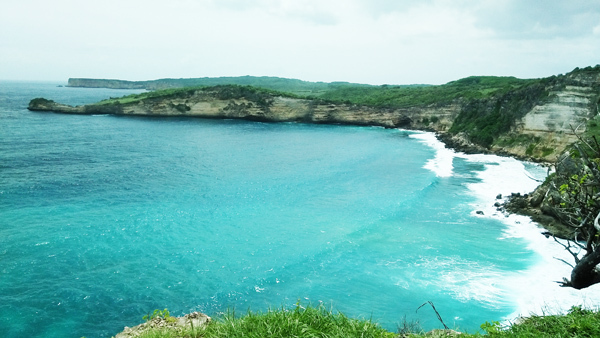 After snorkeling go to Pink Beach or Tangsi Beach for rest and lunch. We will serve you grill fish, crab curry and fried squid for Lunch, complete with drink frsh young coconut water. 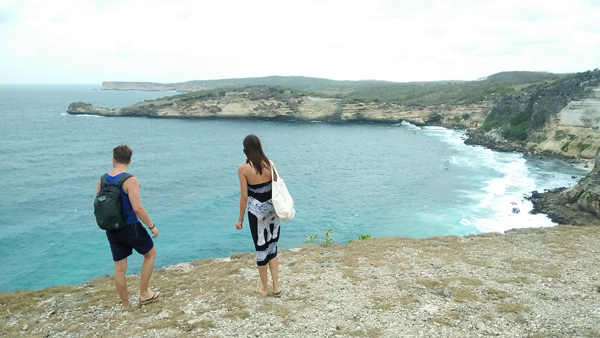 After lunch we will hire motorbike from the local people at Pink Beach for short drive to Tanjung Ringgit, here you will see beautiful blue ocean view from the cliff, also Japanesse Canon from World Ward 2 that still well protected. After explore Tanjung Ringgit Cliff back to the boat at Pink Beach and depart to Tanjung Luar Harbor, about 45 minutes arrive at Tanjung Luar harbor, get on the car and continue to the next destination, the central of traditional hand weaving in Lombok at Sukarara Village to see how the local people making traditional Lombok customs. The most clothes that they produce is Songket and Tenun Ikat a colorful and unique design of Lomboks Sarong. 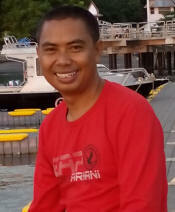 The weavers will give you a chance how to weave and also try the local Lombok customs for taking pictures.